Today I'm going to talk to you about the 2 moisturisers that I love and use daily. 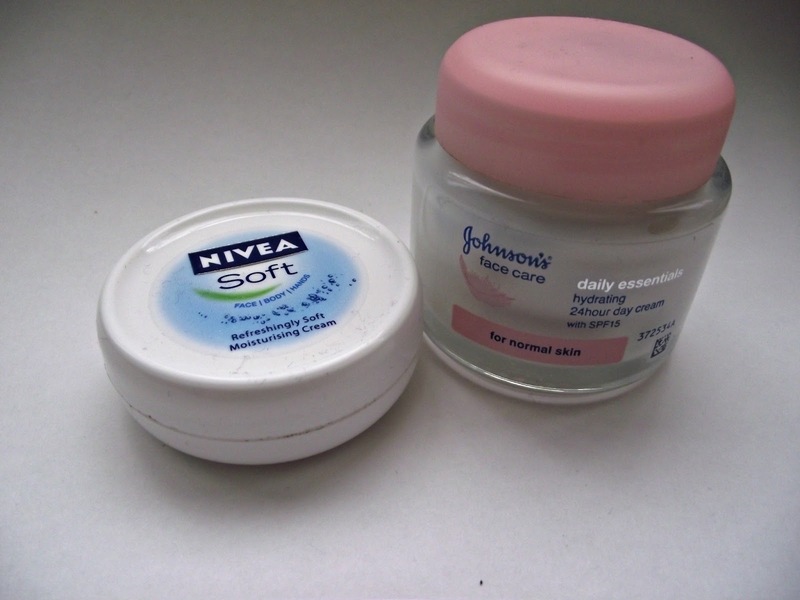 I have dry skin but both moisturisers are meant just for normal skin, this says a lot about them firstly. Firstly I use the Johnsons Daily Essentials hydrating 24hr Day Cream with SPF15 (for normal skin). I have dry skin, like I said, but this is for normal skin. When I went to buy this they didn't have the one for dry skin so took a gamble and bought this one. I now know that I don't need the one for dry skin, this one does a great job. 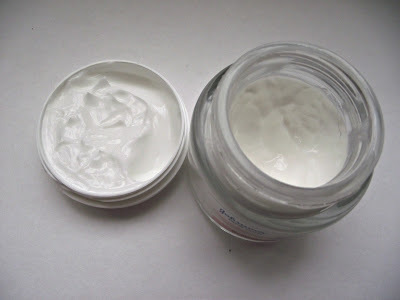 Its super moisturising and keeps my skin fresh and moisturised all day. I've had this for about 7 months now and as you can see its still going strong and I have plenty left. A little bit goes a long way with this and it spreads across my face nicely. It makes the perfect base for makeup as well, my foundation looks great when I put it on straight after moisturising. The other moisturiser I use is the Nivea Soft Moisturising Cream for Face, Body and Hands. I use this after my Johnsons sometimes on areas that might need a little more moisture than some. I use it on my jawline and the area around my nose. These are the driest parts on my face so usually need some extra moisture so my foundation, concealer and powder doesn't look cakey. My skin soaks this up quickly and gives me the extra boost I need. I like that its also good for your hands. I carry this around with me sometimes if I need some extra moisture and for my hands but I'd much rather use my S&G Hand Food for hand lotion. When I use these two products together my skin feels hydrated and fresh, ready for the day or makeup. I have combination skin and I use the nivea soft all over my face every day, it goes on like a dream and keeps my skin super soft, I recommend it to all my friends and they love it too! Love your blog, followed ya!